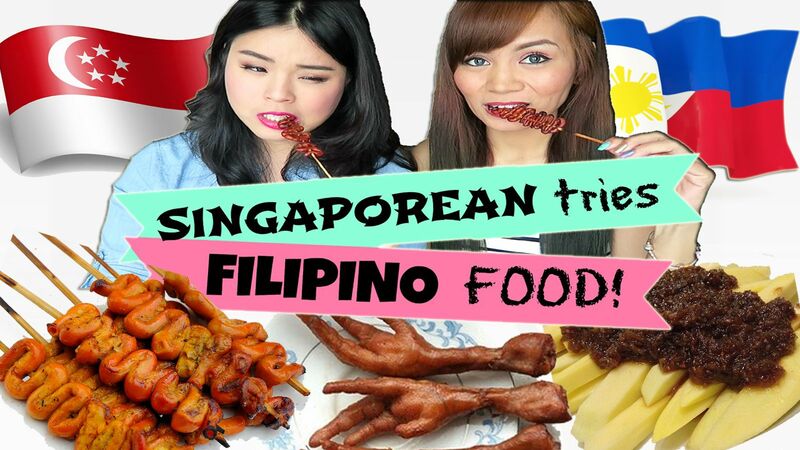 Real Asian Beauty: Singaporean Tries Filipino Street Food! Singaporean Tries Filipino Street Food! A year ago, I went to the Cetaphil Experience at The Farm at San Benito here in the Philippines. It was a weekend trip sponsored by Cetaphil. It was a memorable trip because it was my first-time ever to go vegan all the way, I got to go on a sponsored trip for the first time and I got to spend the weekend with beautiful bloggers from different countries in Asia! After almost a year, one of the bloggers went here to the Philippines again for another event! I was so excited to see her so I asked her if she'd want to film a collab video together. And so, here I am posting about that collaboration video. That blogger is Roseanne Tang from Singapore! She was here for the Stylecon Asia last June! When we were at the Cetaphil Trip, we couldn't eat meat and junk food. I remember we were talking about all sorts of food and they mentioned they wanted to try some of our Filipino food but they couldn't because we couldn't go out of The Farm. 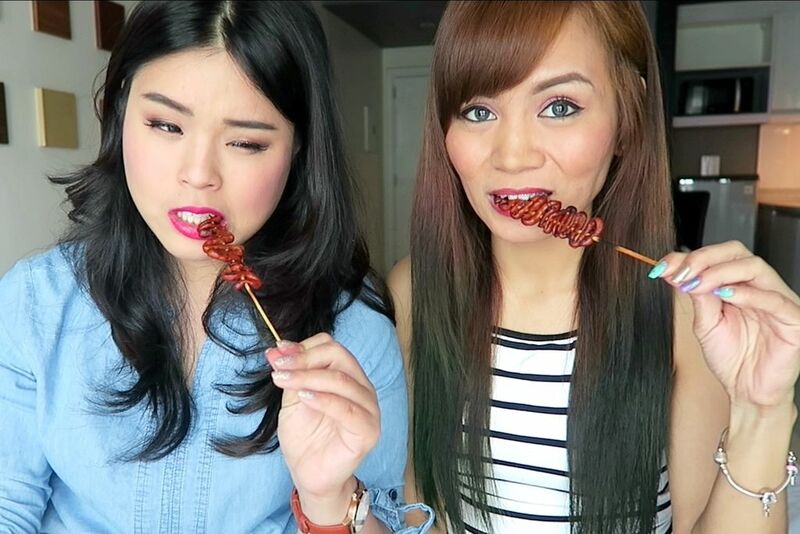 For our video, I thought it would be fun to see her try some of the Filipino street food for the first time! Some of the food we tried were Chicken Feet, Chicken Intestine, Penoy and Sour Green Mango with Salty Shrimp Paste!! Yum! Haha It may sound nasty for some but those are actually my favorite street food! Here is the video! I hope you enjoy watching! I adore Roseanne! She's such a sweetheart! She was also up for anything! She didn't know what I was going to bring to her but she didn't complain once she saw what she was about to eat. She also tried everything without hesitation! She was so cute eating the green mango and shrimp paste, too! 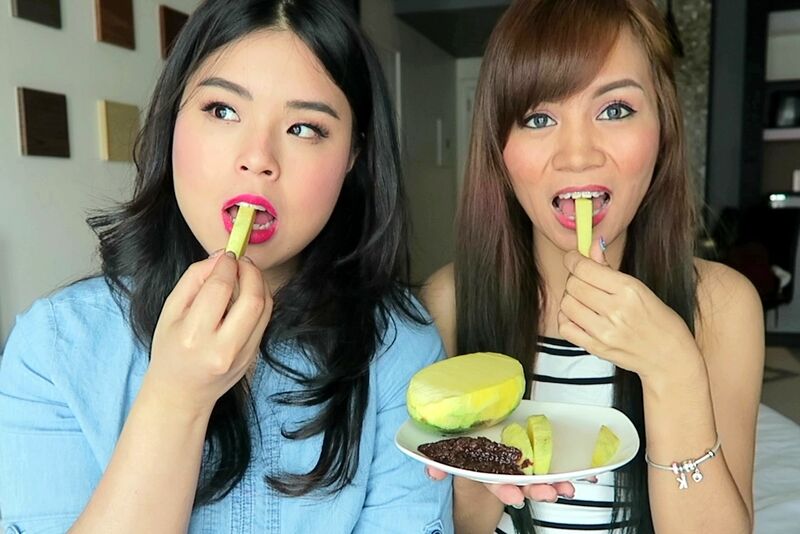 Eating sour mango with the pungent smelling shrimp paste is famous here in the Philippines. For foreigners, however, it could be awful. I remember before, I asked my Korean friend to try it and he said it was unbearable. It's not that bad, really. If you come to the Philippines, I suggest trying it so you could see for yourself if it's worth liking or hating! This is a 2-Part Collaboration, by the way! What I posted on my channel was Part 2. Part 1 is on Roseanne's channel where she tried MORE Filipino food like Balut, Chicharon and more! Watch her video HERE!! I hope you guys watched the 2 videos. I also love how Roseanne edited her video! I admire people that are good when it comes to video editing! One of my goals is to improve the quality of my videos through better lighting and better editing!  Thank you for reading, loves! Are you following me on Instagram yet? It's @RealAsianBeauty.